We have only one more week in this magnificent country. So we decided to hit the road once more. This time to the southwest of the island. 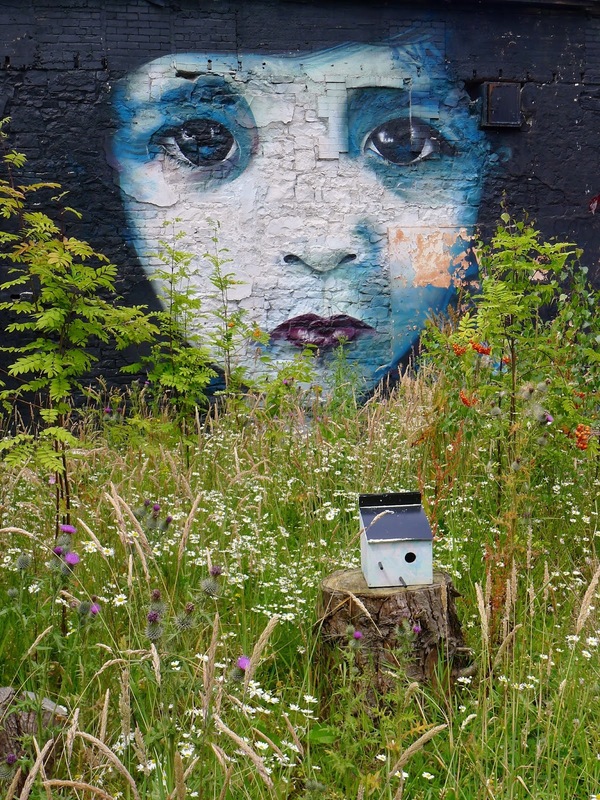 Our first overnight stay was in Limerick. 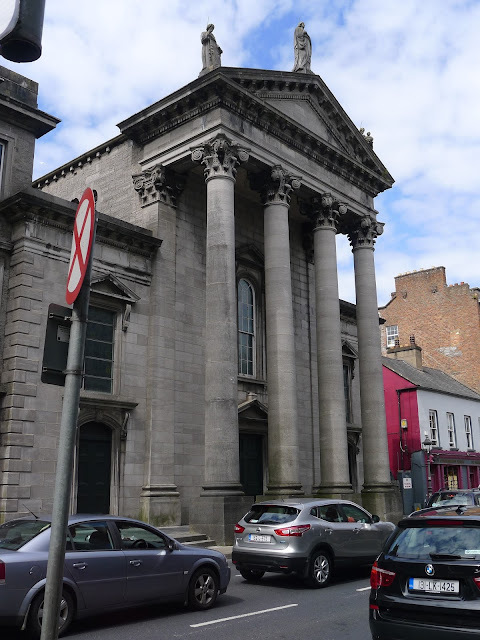 Joe and I went on 'Frank McCourt's Angela's Ashes' walking tour in Limerick. This is the church where young Frank constantly petitioned St. Francis. I loved his book 'Angela's Ashes'. Never before had I wanted to write an author until I read that book. I wanted to tell Mr. McCourt how much his writing touched me, how much it moved me. I never did write that letter and I should have. Frank McCourt died in 2006 and I never got a chance to tell him how much his writing meant to me. 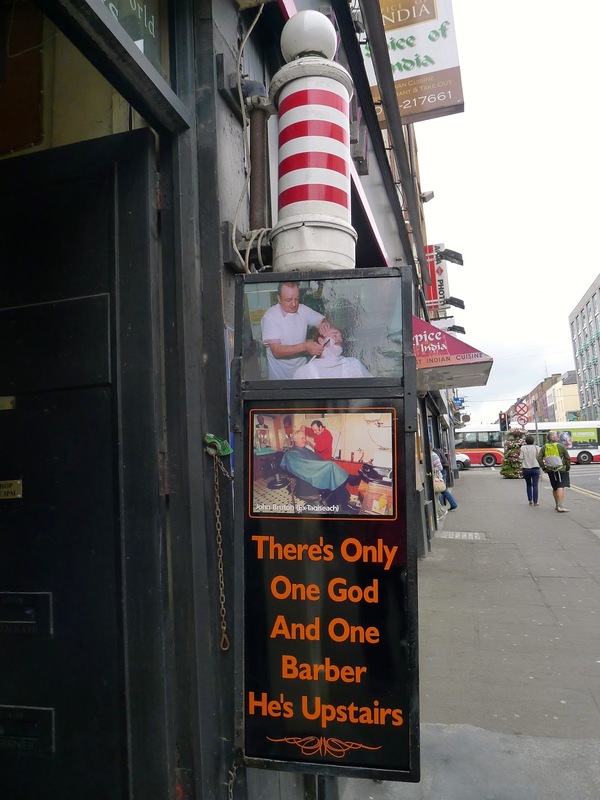 Seen on the streets of Limerick. Seen in the bathroom stall of a tea shop in Limerick. I'd love to know what the erased sentence said. 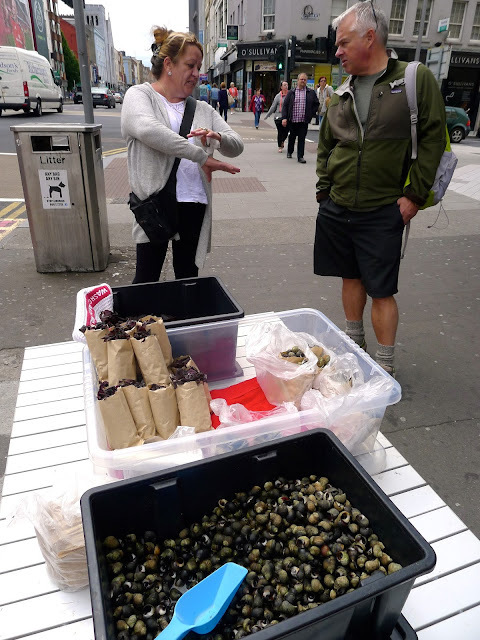 This woman was selling bags of cooked periwinkles and dried seaweed on the streets of Limerick. 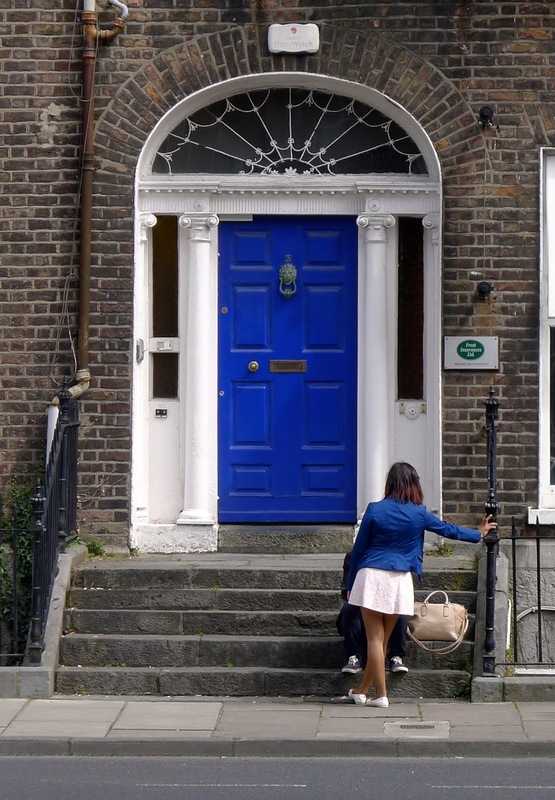 I liked how this woman and the doorway wore matching colours. Front garden on the streets of Limerick. If you ever find yourself needing a place to stay in Limerick, look no further than Moyree B&B. The proprietress, Agnes, is a lovely lady who is friendly, welcoming and full of good cheer. 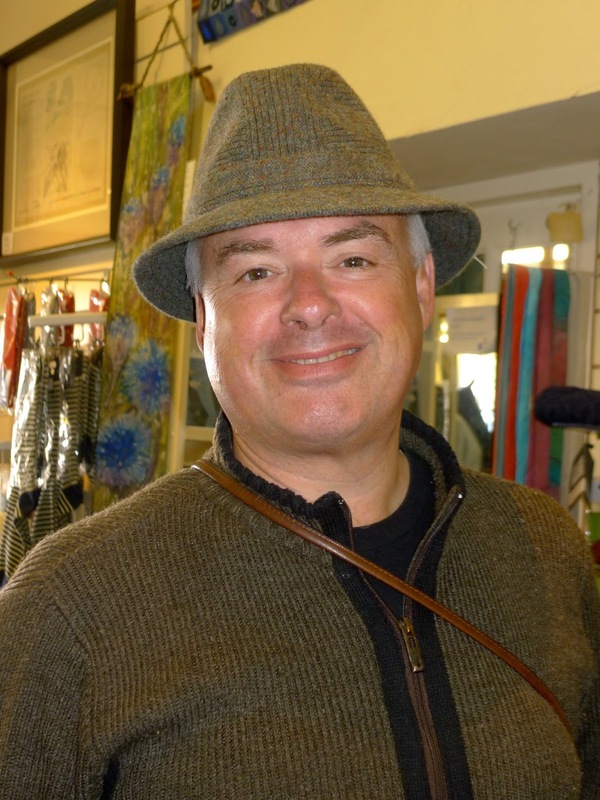 Joe showed great restraint in not buying this hat that he wanted oh-so-badly at a shop in Adare. Thatched roofed cottages are my newest obsession. What's not to love? 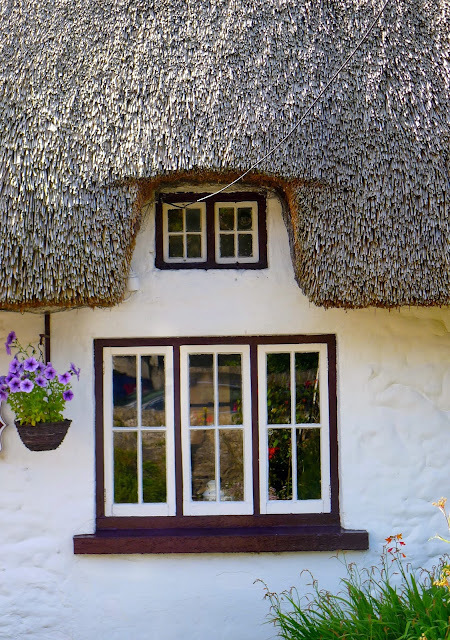 Flowers, windows and a thatched roof in Adare. Next stop on the road trip...DINGLE!